A couple of weeks ago I tried out the K-Fusion hair smoothing treatment by L’Kerabelle at Sejour hair salon in Chelsea. 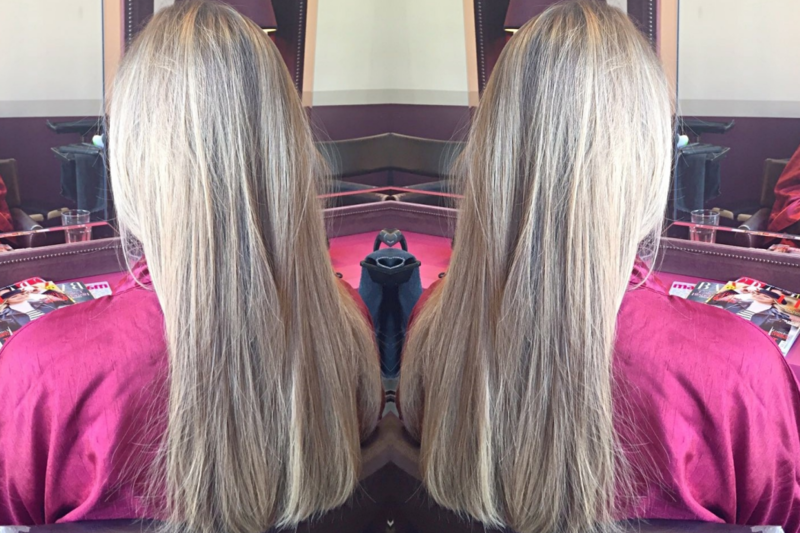 I’ve had a brazilian blow dry before and really loved the results, so I thought it was only fair to give this one a go and see what the differences were. K Fusion was founded by Lorraine Rose, the technical director of D&L hair, who after years of research created K-Fusion by L’Kerabelle. It is a keratin smoothing treatment for the hair, that combats frizz, so if you are a frizz sufferer walk this way, no more bad hair days for stepping out into the rain. 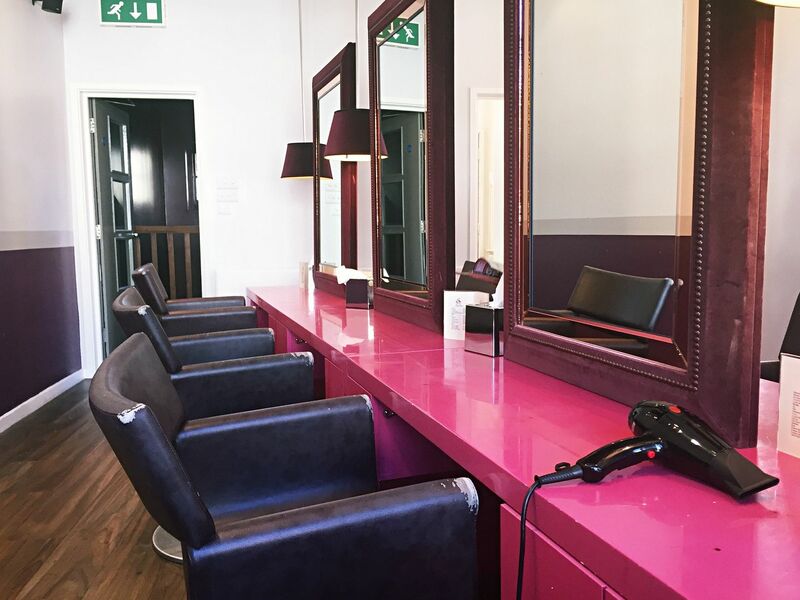 Unlike some more familiar brazilian blow dry treatments, the K-Fusion is formaldehyde free which makes it safe for all hair types even when heated, you can also safely enjoy the treatment if you are pregnant. The K-Fusion is packed with proteins and hydrolysed keratin, contains UV protection and infused with Argan oil to condition the hair. It is designed to repel moisture and seal in the hair cuticles to help prevent frizz and give the hair that sleek look. The next step was to rough dry the hair then apply the K-Fusion. This is applied all over the hair and I didn’t notice any weird smells or anything, quite pleasant. This is left on for about 20-40 minutes and combed through every ten, then washed off and again back to the massage chair. The final step is to blow-dry the hair and then the pain taking process begins. Each section of hair must be run over with the straighteners about ten times. 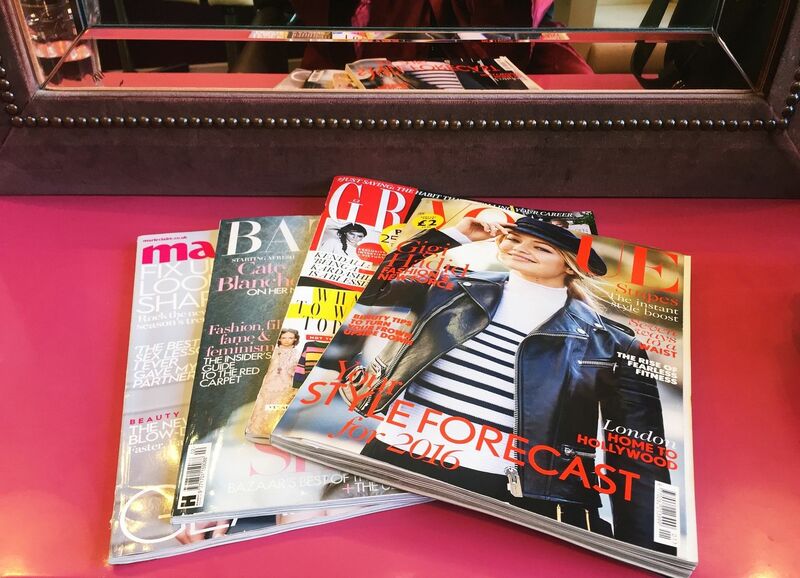 Thankfully my hair stylist was lovely and we had a good chat about yoga and meditation, something I’m looking into this year and I got to catch up on magazines, something I never get to do that often. My hair was left looking lovely and sleek and super soft too. I really was happy with the finished look, as my previous keratin treatment I tried left my hair quite wet looking, but with this one it wasn’t like that at all. You have to leave it for 24-48 hours before washing, no tying back or putting it behind your ears either, so was really glad it looked just like normally does after a blow-dry. The treatment took about 4 hours so make sure you book out a half day. I washed mine after 48 hours and you have to wash your hair afterwards with sodium chloride (salt) free shampoo, however I felt the L’Kerabelle shampoo was quite drying on my hair. I think sodium chloride free is recommended because it helps to prolong the treatment, which can be as much as up to four months. But hunting down another sodium chloride free shampoo was a nightmare, does it even exist!? So I switched back to my regular and it’s been fine. When washing my hair I did also notice a rather odd smell, it has faded each time but it doesn’t smell after I have dried it, thankfully. The result was just as I had hoped, really manageable hair that doesn’t take me an age to try, plus very smooth. One of the main reasons I wanted to try the treatment was the manageability factor. I hate drying my hair, it’s much longer now that it ever used to be and is thick. The effort of drying is just well very time-consuming. With the K Fusion my dry time has been cut in half for sure, it makes it so much softer and less tangled, as well as I don’t have to really struggle to dry it straight. The treatment doesn’t offer straight hair, but it does help to achieve that look. I had mine done at Sejour salon in London with prices starting from £150, but it is available at salons across the UK.